Welcome to Day #4 of Chocolate and Thankful Theme Week. 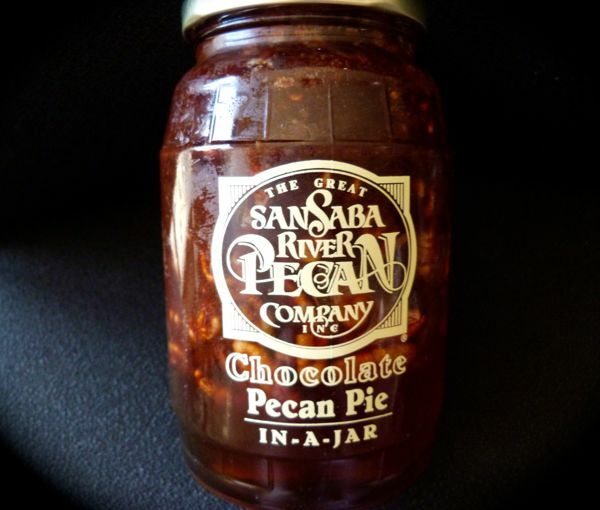 Today's Chocolate Pecan Pie In-A-Jar, from The Great Saba Saba River Pecan Company Inc. (Saba Saba, TX), is the kind of ingredient that begs to be experimented with. This caramel-y and chocolate-y pecan pie filling was chocked full of pecans—the first thing I saw when I opened the large, screw-top glass jar. 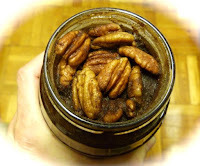 I used this pecan pie filling two ways today, to create: 1.) a single serving of gluten-free chocolate pecan dessert, and 2.) 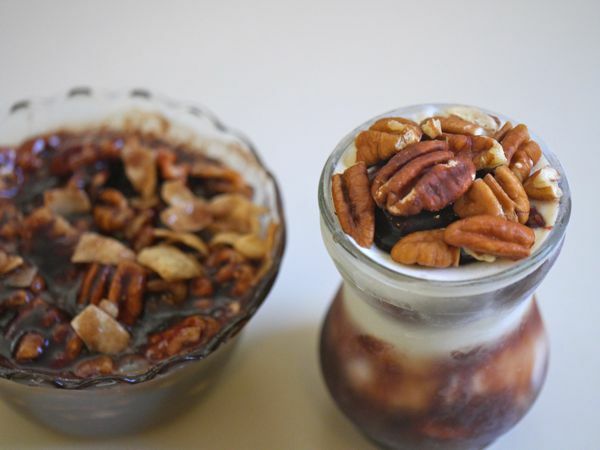 a small chocolate pecan pie parfait with vanilla ice cream. 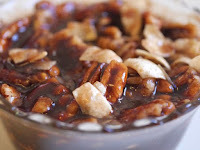 Both hot and cold dessert results were good. And if you like nuts, topping these with a few more pecans may even be in order. 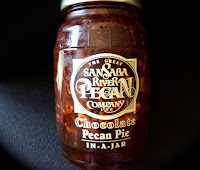 This is why I love writing about a new chocolate every day on ChocolateBanquet.com. I am thankful that I get to learn something new every day.